Leaving a popular group to go it solo can be a risky endeavor. On one hand, you have a chance at full artistic freedom and the prospect of full-fledged, singular stardom. On the other, you could lose everything: momentum, fans, and any connection with the band that helped kickstart your career. But there are some who can pull off the transition seamlessly, not only keeping their following intact, but growing it tenfold. So, of those who've parted ways with their onetime groups, whose fan base has stood behind them the strongest? Is it Zayn's Zqad? Camila Cabello's Camilizers? The newly born Dinahsty? We're putting it to the test. 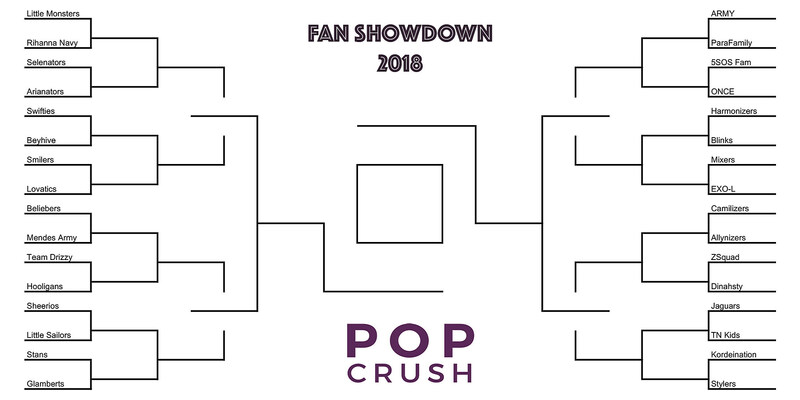 You can view the full bracket here and vote in the former group member quadrant below. The battle begins now!